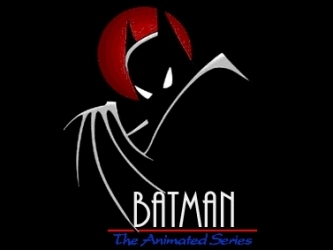 Batman the animated series was great in its character development, designs and animations. This was one of the things in the nineties that had an amazing team. Honestly this was the series that made me a Batman fan. Still to this day whenever I read comics I always hear Kevin Conroy’s voice as Batman/Bruce Wayne and Mark Hamill’s voice as the Joker. The creators of this series, Bruce Timm and Eric Radomski really had a love of the source material and wanted to make something that everyone could enjoy. One could really feel the love for the universe and the characters, hell this series did so well they continued the DC animated universe with Superman the Animated series, Static Shock, Batman Beyond, and even the Justice League series. I love all of these series and they are all highly recommended if you have never seen them. When you do watch the series again or even for the first time I hope you enjoy the introduction and evolution of one of my favorite characters Harley Quinn .This character was originally created during the television series by one of the writers of the series Paul Dini She was originally just a female character to offset Joker, but she quickly became her own character and evolved beyond the Joker even becoming a best friend to Poison Ivy . This is amazing in hindsight, especially since I know how hard it can be to introduce a new character into an already established comic universe like Batman. Harley Quinn was awesome but everyone was written spectacularly in this show like Batman/Bruce Wayne. He was written in the sense of a detective who had a deep voice that knew how to scare his enemies to get what he wanted, which was well shown by Kevin Conroy. In turn though Conroy did also show a lighter version to his tone of voice when he was speaking as Bruce Wayne, which showed how Bruce Wayne was the disguise and Batman was the true identity, and honestly this showed a great dynamic between the two characters that were in actuality the same person but somehow still felt different.